Register for this free training to reserve your spot. Come from 3pm-4pm to get clarification on the process of obtaining your substitute teaching permit if you have a four year degree or are an enrolled college senior. 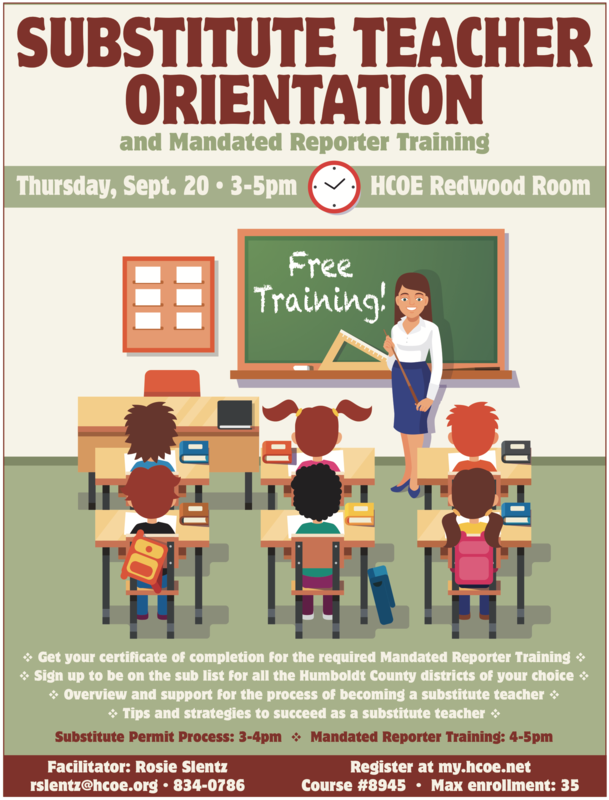 Stay or drop in from 4pm-5pm for the required annual mandated reporter training that every school employee needs.